Recently, a customer came to us with a perplexing demand. Without going into detail about their specific application, they needed a 2U computer that could house full-length PCI and PCI-X cards. After creating a solution for their application, we decided to add it as a new product to our line (see it here: DuroPC RAC359). 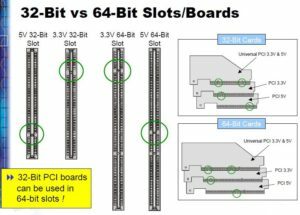 However, throughout this process, we found that there is a lot of confusion about the relationship between PCI and PCI-X. So, we will offer some clarification here…and, as always, please contact us if we can assist you with your industrial computer needs. 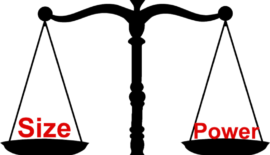 PCI (Peripheral Component Interconnect) is a data bus protocol. The first generation of cards that were built to utilize this bus are referred to as PCI cards. Although the term PCI still applies to the data bus in modern computers, several newer generations of interface protocols (such as PCI-X and PCIe) have since been developed. The original protocol for PCI cards and slots are now referred to as ‘Conventional’ PCI cards and slots. 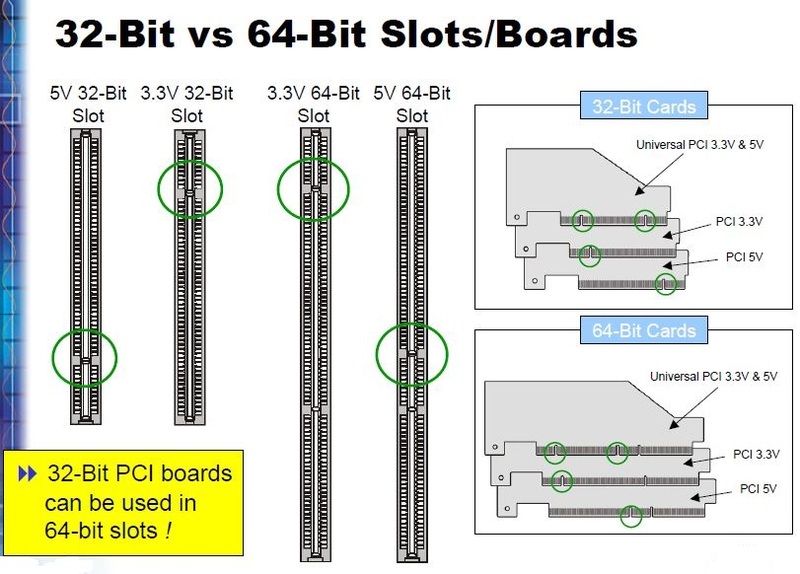 Conventional PCI cards are usually 32 bits, but some are 64 bits. The standard configuration for conventional PCI is 133 MB/s. PCI cards can operate in PCI-X slots of the same operating voltage (3.3V or 5V), even if the PCI-X slot is longer than the PCI card connector. When a conventional PCI card is running in a PCI-X slot, all other PCI-X slots on the same bus will be limited to the speed of the slowest card. PCI-X (PCI eXtended) is an enhanced PCI bus technology. All PCI-X cards operate at 64 bits and are capable of up to 1064 MB/s (8 times as much as Conventional PCI peak rates). In many cases, PCI-X is backward compatible with existing PCI cards. 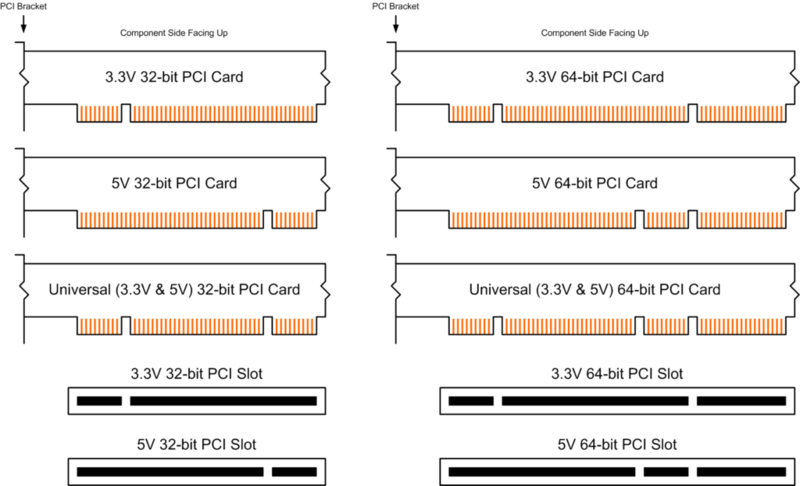 PCI-X cards will operate in PCI slots of the same operating voltage (3.3V or 5V), but the data transfer rate will be limited to the slower PCI rates. If the PCI-X card connector is longer than the PCI slot, mechanical impediments (such as capacitors near the slot) may prevent the card from fitting in the slot.